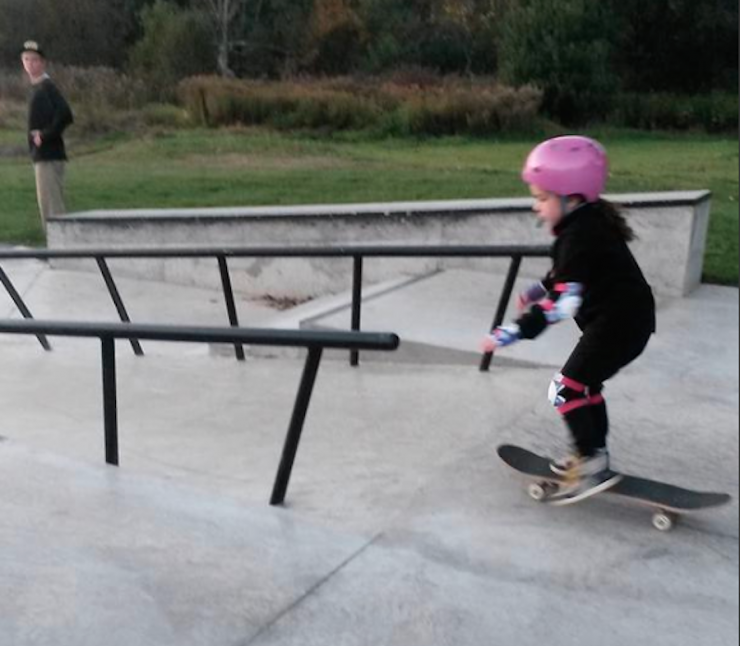 The skate park can be an intimidating place, especially if it's full of teenage boys smoking and swearing and you're a six-year-old girl who wants to get some practice in. That's what happened to Jeanean Thomas' daughter Peyton as she approached their local park in southern Ontario, after plucking up the courage to get on a board after months of wanting to. When her daughter got on the ramp one of the boys approached her. But it wasn't to tell her this is only for older kids and to get lost, instead he took the time out to teach her some essential skills—and she gladly listened. The mom was so touched by this act of kindness and generosity, she wrote an open letter and posted it to twitter, thanking the guy for taking the time to share some of his knowledge. She proceeded to go down the ramp in spite of you and your friends flying past her and grinding rails beside her. She only had two or three runs in before you approached her and said “Hey, excuse me …” I immediately prepared to deliver my “She’s allowed to use this park just as much as you guys” speech when I heard you say, “Your feet are wrong. Can I help you?” You proceeded to spend almost an hour with my daughter showing her how to balance and steer, and she listened to you – a feat not attained by most adults. You held her hand and helped her get up when she fell down and I even heard you tell her to stay away from the rails so that she wouldn’t get hurt. I want you to know that I am proud that you are part of my community, and I want to thank you for being kind to my daughter, even though your friends made fun of you for it. 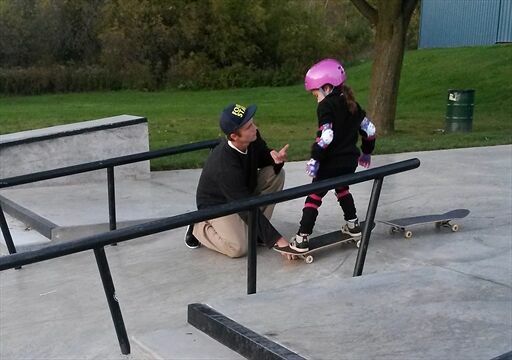 She left the skate park with a sense of pride and with the confidence that she can do anything, because of you. After Jeanean posted the letter it quickly went viral, because the internet loves random acts of kindness second only to a virtual lynching. 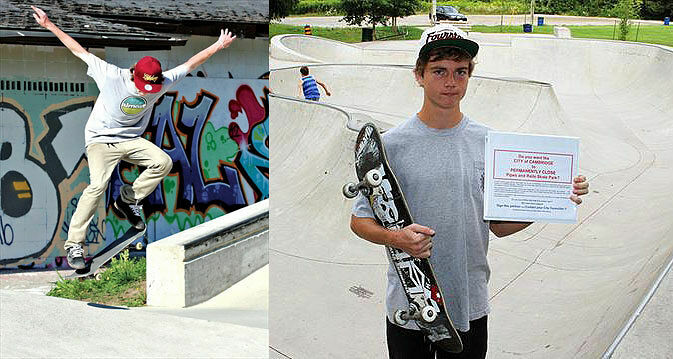 Local Ontario paper the Cambridge Times tracked down this kind stranger, and unveiled him as 20-year-old Ryan Carney. Although the internet and media has raised him to the status of unsung hero of our age, it came naturally to Carney to help out a little girl who was trying her hand at a sport that he not only practised, but also coached. "The day of it, I didn’t think much of it to be honest. I don’t really know why it’s a big deal. I went up there just simply to be nice,” Carney explained. “If I didn’t know what the heck I was doing, and I was in a place that could be intimidating at that age, I’d want someone to help me. When you put a smile on someone else’s face, it’s infectious. If you do something nice for someone, something nice will happen to you."